Rooz is a DJ, promoter, and major advocate of underground electronic music in San Francisco. Rooz is known for his late night trippy house and techno sets at underground warehouse parties across SF. With regular residencies and appearances at San Francisco’s house music nightclubs since 1999. 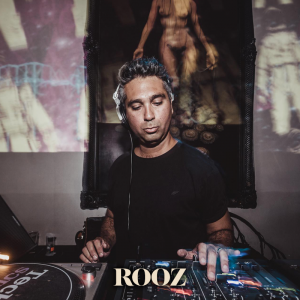 You can catch Rooz opening for underground house and techno artists like Marco Carola, Loco Dice, Stacey Pullen, Dubfire, Joseph Capriati, Derrick May, Carl Craig, to name a few.